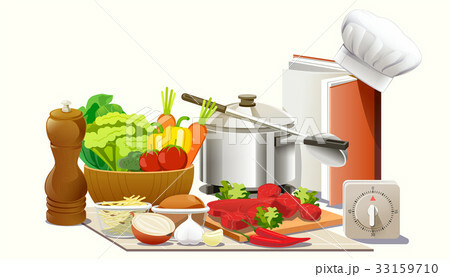 イラスト素材: Cooking experiments in the kitchen. Cooking experiments in the kitchen. Open a creative cookbook to be a chef. Create new dishes.